The world faces the largest humanitarian crisis since the United Nations was founded in 1945 with more than 20 million people in four countries facing starvation and famine, the UN humanitarian chief says. The world faces the largest humanitarian crisis since the United Nations was founded in 1945 with more than 20 million people in four countries facing starvation and famine, the UN humanitarian chief said Friday. Stephen O'Brien told the UN Security Council that "without collective and co-ordinated global efforts, people will simply starve to death" and "many more will suffer and die from disease." "To be precise," O'Brien said, "we need $4.4 billion by July." Without a major infusion of money, he said, children will be stunted by severe malnutrition and won't be able to go to school, gains in economic development will be reversed and "livelihoods, futures and hope will be lost." 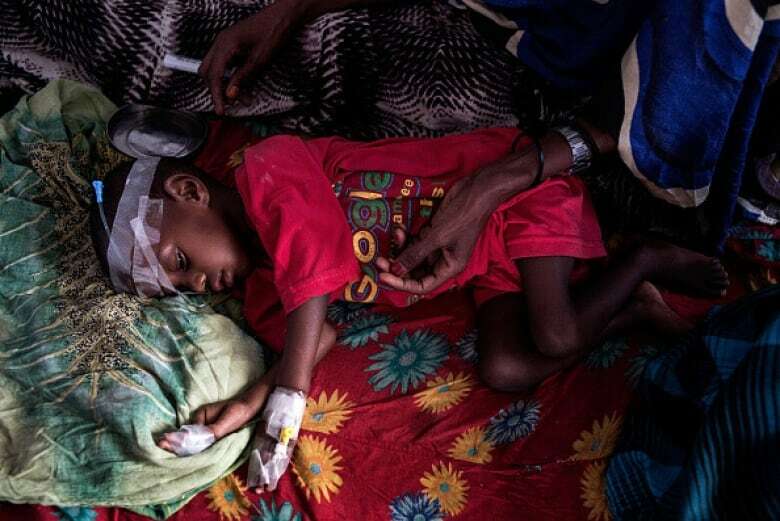 UN and food organizations define famine as when more than 30 per cent of children under age 5 suffer from acute malnutrition and mortality rates are two or more deaths per 10,000 people every day, among other criteria. "Already at the beginning of the year we are facing the largest humanitarian crisis since the creation of the United Nations," O'Brien said. "Now, more than 20 million people across four countries face starvation and famine." Jens Laeke, deputy spokesperson for the UN, told CBC News Network on Saturday that the number of people affected by the famine is "more or less four times the entire population of the state of Denmark." Denmark's population is approximately 5.7 million. He said that aid workers had reached almost 340,000 in South Sudan, but that much more access to the crisis areas is needed. O'Brien said the largest humanitarian crisis is in Yemen where two-thirds of the population — 18.8 million people — need aid and more than seven million people are hungry and don't know where their next meal will come from. "That is three million people more than in January," he said. The Arab world's poorest nation is engulfed in conflict and O'Brien said more than 48,000 people fled fighting just in the past two months. During his recent visit to Yemen, O'Brien said he met senior leaders of the government and the Shiite Houthi rebels who control the capital Sanaa, and all promised access for aid. "Yet all parties to the conflict are arbitrarily denying sustained humanitarian access and politicize aid," he said, warning if that behaviour doesn't change now "they must be held accountable for the inevitable famine, unnecessary deaths and associated amplification in suffering that will follow." For 2017, O'Brien said $2.1 billion is needed to reach 12 million Yemenis "with life-saving assistance and protection" but only 6 per cent has been received so far. He announced that Secretary-General Antonio Guterres will chair a pledging conference for Yemen on April 25 in Geneva. The UN humanitarian chief also visited South Sudan, the world's newest nation which has been ravaged by a three-year civil war, and said "the situation is worse than it has ever been." "The famine in South Sudan is man-made," he said. "Parties to the conflict are parties to the famine — as are those not intervening to make the violence stop." O'Brien said more than 7.5 million people need aid, up by 1.4 million from last year, and about 3.4 million South Sudanese are displaced by fighting including almost 200,000 who have fled the country since January. "More than one million children are estimated to be acutely malnourished across the country, including 270,000 children who face the imminent risk of death should they not be reached in time with assistance," he said. "Meanwhile, the cholera outbreak that began in June 2016 has spread to more locations." In Somalia, which O'Brien also visited, more than half the population — 6.2 million people — need humanitarian assistance and protection, including 2.9 million who are at risk of famine and require immediate help "to save or sustain their lives." He warned that close to one million children under the age of five will be "acutely malnourished" this year. "What I saw and heard during my visit to Somalia was distressing — women and children walk for weeks in search of food and water. They have lost their livestock, water sources have dried up and they have nothing left to survive on," O'Brien said. "With everything lost, women, boys, girls and men now move to urban centres." 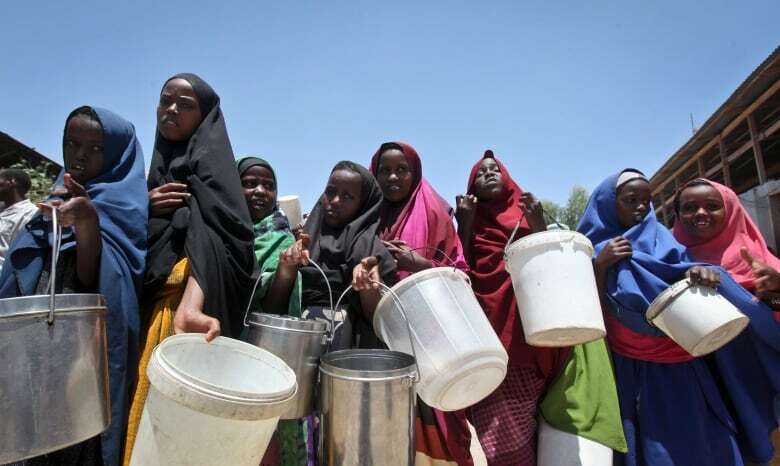 The humanitarian chief said current indicators mirror "the tragic picture of 2011 when Somalia last suffered a famine." But he said the UN's humanitarian partners have a larger footprint, better controls on resources, and a stronger partnership with the new government which recently declared the drought a national disaster. "To be clear, we can avert a famine," O'Brien said. "We're ready despite incredible risk and danger ... but we need those huge funds now." 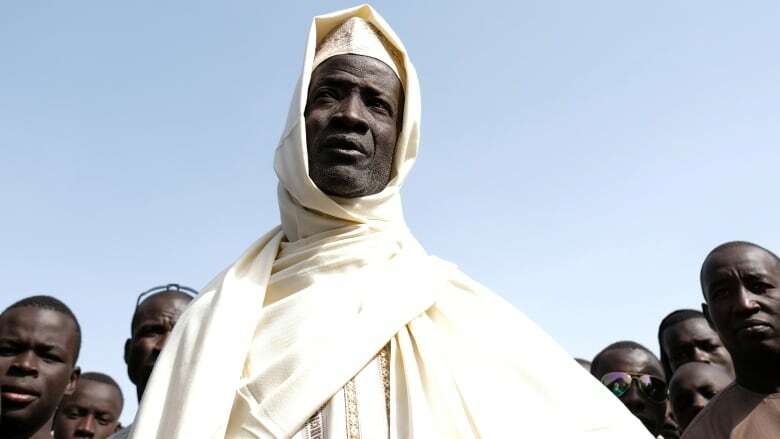 In northeast Nigeria, a seven-year uprising by the Islamic extremist group Boko Haram has killed more than 20,000 people and driven 2.6 million from their homes. A UN humanitarian co-ordinator said last month that malnutrition in the northeast is so pronounced that some adults are too weak to walk and some communities have lost all their toddlers. Canada is "gravely concerned" by the UN's warnings on the famine, Global Affairs spokesperson Jocelyn Sweet told CBC News in an email. "Canada will be continuing to respond to this looming crisis through the 2017 global humanitarian appeals, including additional funding for urgent food and nutrition needs in each of these countries," she said. Sweet also said that Canada's humanitarian partners, World Food Programme and UNICEF, are scaling up their response in South Sudan using "ground transport and helicopters to reach those most in need in remote areas." Canada was the fourth largest country donor to South Sudan in 2016, with more than $45 million in humanitarian assistance, she said. Canada provided $30.25 million in aid to Somalia, $24 million to Yemen and $8 million to Nigeria in 2016, said Sweet.